We can also, on request, provide local addresses that showcase our work! Scott is our outdoor lighting expert. With landscape lights, proper design is the difference between ok and exceptional. 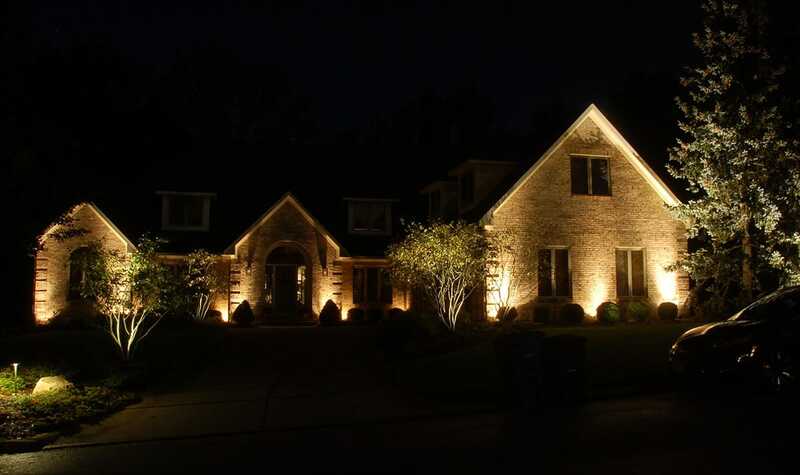 Each area of the house needs the correct light fixture and wattage to correctly accent the plant or architectural feature. Make the lighting too bright, and the look will be harsh and washed out. Use too few lights, and the shadows/dark areas will create an unbalanced feel. 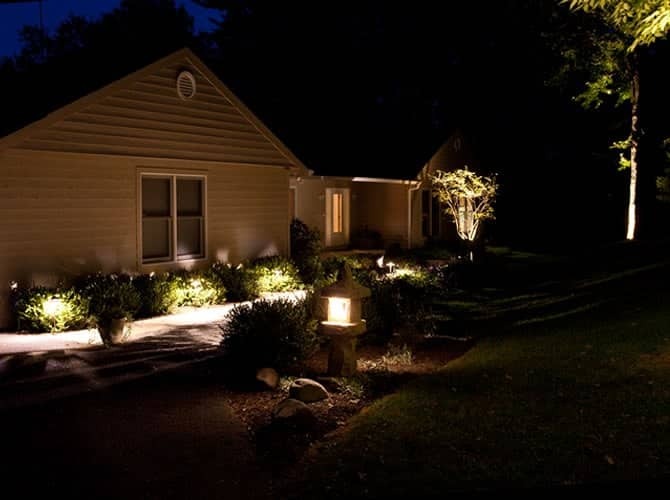 Our goal is to draw attention to the right details and use shadowing to create an interested and unique look that will add curb appeal and safety around your house. 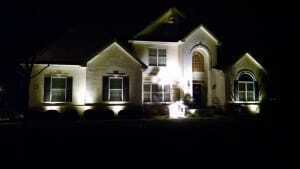 We install both LED and incandescent lights. LED fixtures and bulbs come with a 15 year warranty. 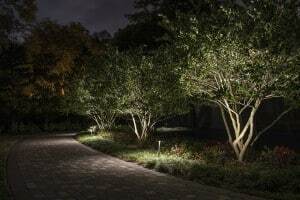 LED’s save money by reducing both electric use and maintenance. LED lighting gives us the most flexibility for creating the correct brightness and lighting ‘color’. Incandescent fixtures have lower upfront costs but require more maintenance and ongoing expenses such as bulb replacement. Please contact us for details. 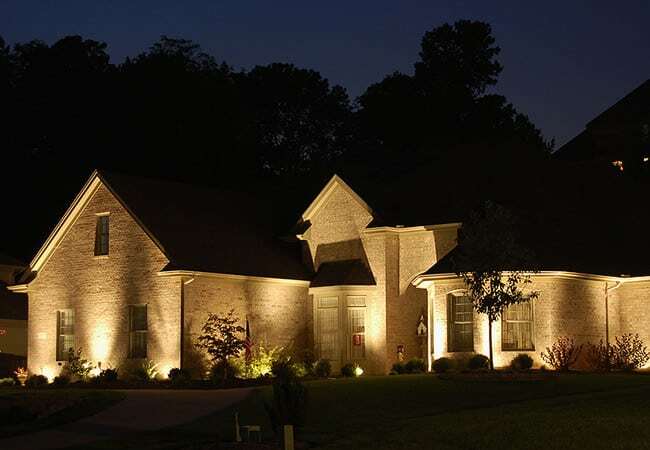 We can provide a free nighttime demonstration of your lighting options.